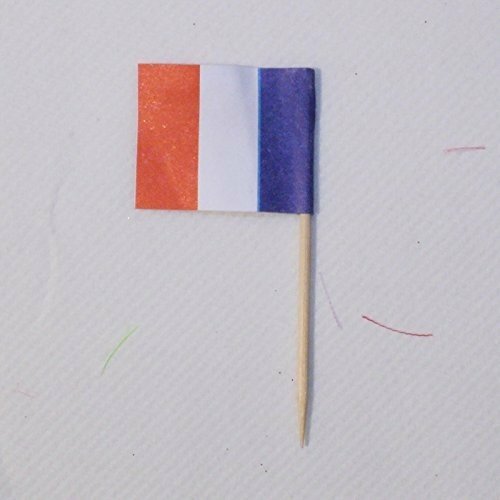 Garcia de Pouf 144 unit wooden flag picks France in box. Picks of flags of different countries. Measures 4 cm length by 2.5 cm width by 6.5 cm height. View More In Art Tool & Sketch Boxes. If you have any questions about this product by Garcia de Pou, contact us by completing and submitting the form below. If you are looking for a specif part number, please include it with your message.